Wesley Beann, founder of the Clones of Funk, says there’s a Parliament-Funkadelic or P-Funk tribute band in every state. All over the country, feathers are flying off headdresses as neon-spandex- and tie-dye-clad bands keep George Clinton’s 1960’s creation of psychedelic fusion of R & B, rock, and Motown alive. The Clones of Funk are part of that cadre, but hold a slightly special status, because a year after the band formed, Dr. Funkenstein himself knocked on their door. 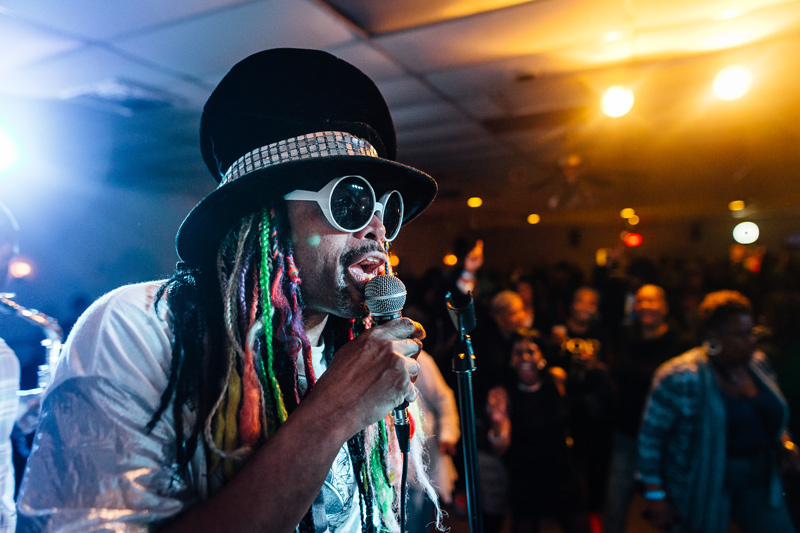 Just before the Clones’ second performance, Clinton and his iconic rainbow-colored dreads bounced into the room; word about the Clones had traveled swiftly down the P-Funk grapevine. Some of the Clones had seen Clinton doo-wopping with his band, but never in a million years thought that they would get the chance to play with him. That night, in July 1990, was the first but not the last time it would happen. The Clones have always had a serendipitous aura, and it contributed to how they were formed, in 1989, at St. John’s College. Beann saw some friends play backup for a student concert, and during intermission they played a jaw-dropping funkadelic set that left him in a daze. He thought about creating a George Clinton tribute band, and thus the Clones of Funk was born. In 1989, the Clones included Lovell Jay Beann and Gordon “Da Da” Henson on drums, Gerard “Jerry” Makell on bass, Beann, Jeffrey Gray, and Marvin Miller on vocals, and Danny Little and Michael McHenry on guitar. They came together out of passion and respect for Clinton and his music; money and fame were never the motive. For a decade, the Clones got together but once a year, at the Annapolis American Legion, on or near Clinton’s birthday, July 22. By the second reunion, a horn section was added, with Mike Powell, John Bryan, and Reggie Moore. In 1990, Terre Holland joined on bass, and Lamont “Scrape” Randall joined the vocal section. Scrape’s a cappella background and Temptations-like harmonizing experience blends with Beann’s Jimi Hendrix rock roots to perfectly mimic the Parliament/Funkadelic charm. 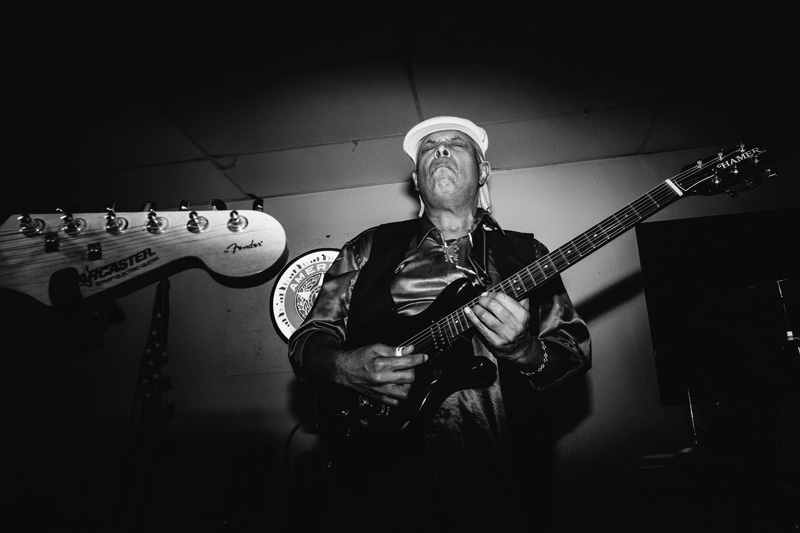 When the Clones were invited to play at a Thanksgiving dinner at the American Legion, hosted by We Care and Friends, director (and musician) Larry Griffin was so impressed that he convinced the group to be more than an annual performance band. As some members went, others came, including Mark Brown on drums, Gene McBride on keyboard and vocals, Mike Acosta on keyboard and sax, and a succession of guitar players—Clarence “Boulah” Roper, Andre Lassalle, and John Willis, followed by Gerard “HottRodd” Butler who played with the Clones for 15 years. In 1996, Holland ran into his friend Curtis Spencer in New York City’s Central Park at P-Funk’s “Second Landing of the Mothership” concert. Spencer was good friends with Clinton and introduced him to Holland after the show. Clinton in turn introduced Holland and Spencer to his friend, Joe Keyes, a vocalist who was soon to move to Annapolis. When Keyes settled in Annapolis, he found his way to Roy Wood’s pet store to buy crickets for his bearded dragon. Keyes talked up the Clones to Wood and his wife, Debbie. They went to a show and became instant groupies. When the band needed a place to rehearse one evening, Keyes asked to use the pet store’s warehouse. Soon, Wood became the band’s booking agent, and his wife, the promotions manager. 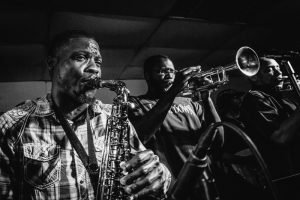 The band has kept busy with gigs, performing regularly at the Eastport Clipper and other venues between Baltimore and Washington, DC. 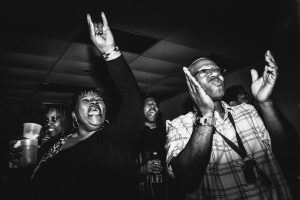 They opened for Fishbone at the 9:30 Club, with 17-year-old Derrin Brown filling in as drummer (his grandfather is Roland Brown of the Van Dykes); the vibe that night was cosmic. Clinton kept in touch with the band, and on election night in 2000, between gigs in Baltimore and DC, he rented a recording studio to jam with the Clones. Between running out to check the vote count and being in the studio with the legend himself, the band experienced a night to remember. 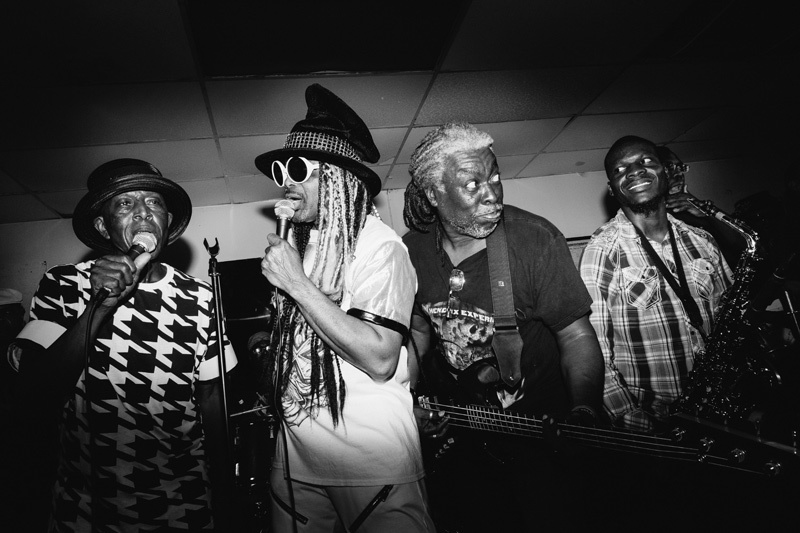 Seventeen years later, Debbie Woods, known as the “funklady,” still manages the Clones. The now eleven-piece group performs up to three to four times a month and don’t plan on stopping anytime soon. Error: Error validating access token: Session has expired on Saturday, 09-Mar-19 15:57:50 PST. The current time is Tuesday, 23-Apr-19 08:55:00 PDT.